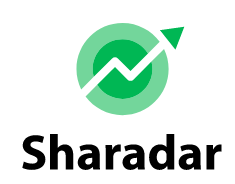 Here at Sharadar HQ we are pretty obsessed with expanding our datasets and making them increasingly valuable to our customers. A downside of the singular focus on expanding our datasets is that we are not particularly good at taking the time to tell our customers about these improvements. This post is an effort to remedy this situation. We'll list recent updates to the datasets, and we'll keep adding to this same post for future updates. We have many future updates in the pipeline, so you can keep checking back here. At some point we'll also backfill the full history of updates, because we're sticklers for completeness. This post can be read in conjunction with our progress post which charts the high-level long term trend in our expansion efforts. 15 January 2019 - Added current & historical S&P500 constituents as a free update for our fundamentals customers (here). 15 January 2019 - Added corporate actions as a free update for our fundamentals and equity prices customers (here, here, here and here). Focused initially on stock splits and expanding in the future to cover a broader array of corporate actions. 5 January 2019 - Passed the 20,000 ticker milestone for coverage in our equity and fund prices offering (here). 26 December 2018 - Added Exchange Traded Debt (ETD) as a free update for our fund price customers (here and here). 2 November 2018 - Added daily resolution of price-based metrics as a free update for our fundamentals customers (here and here). 14 October 2018 - Added preferred stock and stock warrants to coverage as a free update for our equity prices customers (here, and here). 7 June 2018 - Passed the 15,000 ticker milestone for coverage in our equity and fund prices offering (here). 7 June 2018 - Launched our EOD fund price offering (here, and bundled with equity prices here). Focused initially on ETFs, CEFs and ETNs and subsequently expanded to include Exchange Traded Debt (ETD). 24 April 2018 - Added indicator (field) descriptions that are retrievable via API as a free update for our fundamentals, insiders, institutional holdings, equity prices and the bundle customers.